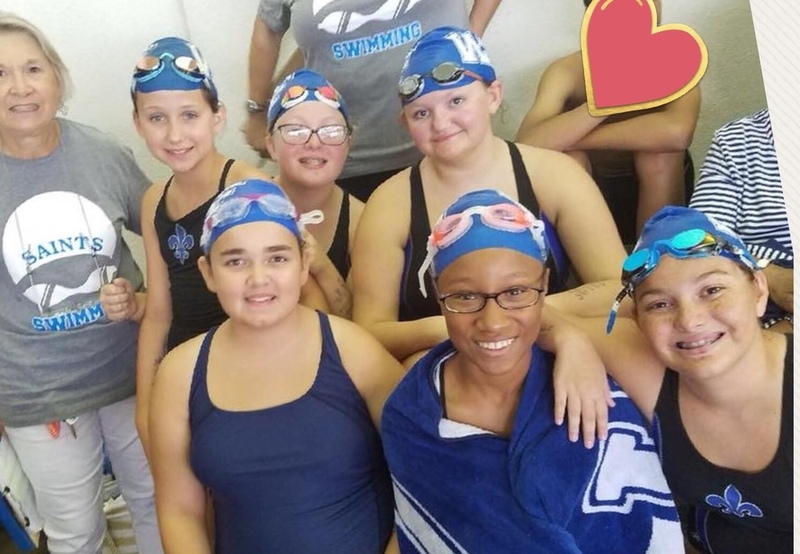 Congratulations to the WFMS Swim Team for their stellar performance at the Swim Championship Meet this past weekend!! Our boys placed 3rd out of 14 teams, while the girls placed 8th of 15 teams. Combined, the team won 4th place out of 17 teams participating! All of our swimmers showed improvements in times in at least one of their events. William Bergeron, 3rd place, 50 fly. Giselle Bechir, Elaina Singlerton, and William Bergeron received heat winner ribbons. Swimmers to receive ribbons for 4th - 8th place finishes are as follows: Crew Rome & Boys Medley Relay, Mary Mitchell, Andrew Dedon, Lillie Chambers, Elaina Singleton, Liza Rachal, Emma Schober, Nevaeh London, Adam Theriot and Neal Rachal.